Are you up for a real wilderness expedition? 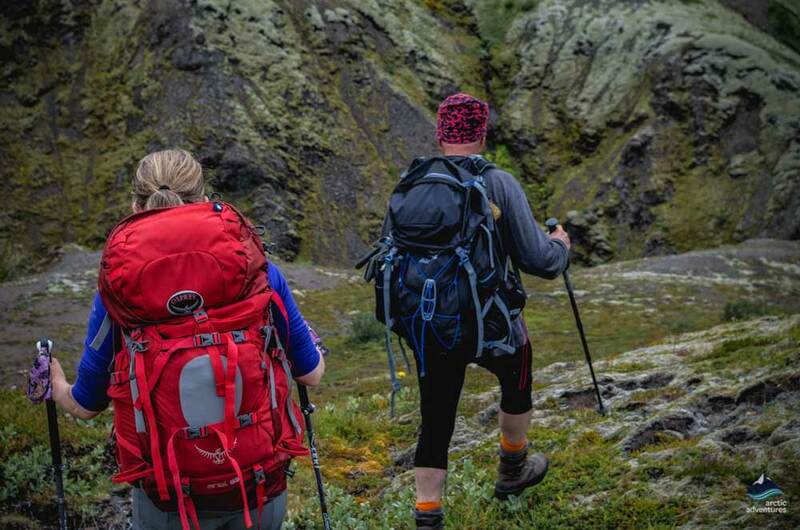 This 6 day backpacking trek in the Icelandic highlands is the real deal! 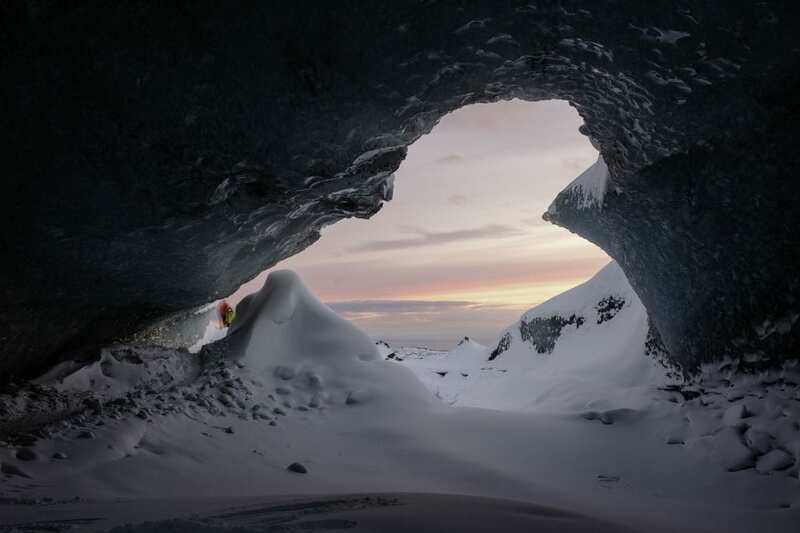 Explore the wild areas of Vatnajökull National Park. Camp out in untouched nature, trek across a glacier tongue and alongside glacier lagoons and bathe in a crazily idyllic hot pool. This is the ultimate adventure tour taking you off the beaten path. Pick up time: 07:00 from one of our pick up locations. 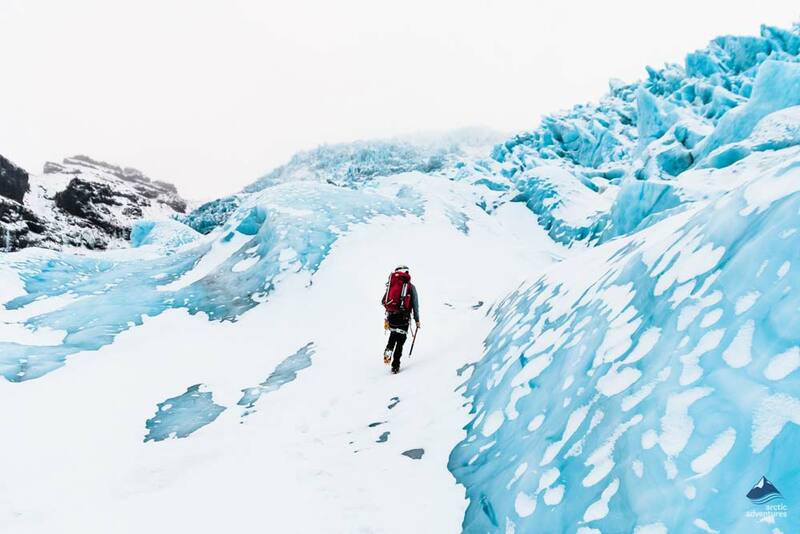 This 6 day backpacking tour will take you on a journey from civilization into the wild highlands of Vatnajökull National Park. In every direction, there will be nothing except the vastness of nature. 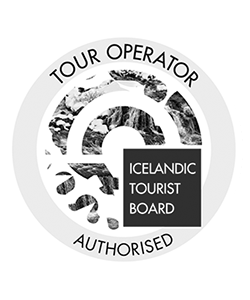 You will visit really remote glacial rivers, waterfalls, lava fields, hot springs, stunning mountains and trek over a glacier. We blend together as one team, setting up camp, preparing our meals and enjoying the most pristine Icelandic nature imaginable. This is a real participation experience. 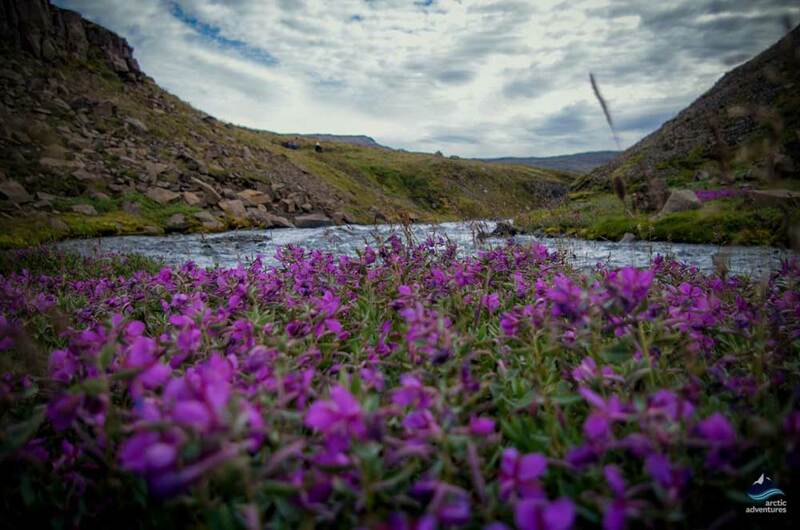 Trek alongside a glacial river as you follow the Djúpá (the Deep River) to camp for the night in a vegetated area. 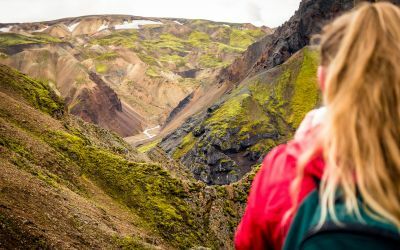 Trek higher to the numerous waterfalls fed by the water which flows straight from the Siðujökull glacier, then head to Gæsabrekkur (Goose Hills) and on into the mossy gorge of Langagil (the Long Gully), then camp in this highland paradise. The sensational lava field scenery and the valley of Beinadalur (Bone Valley) are next. A short walk from where we camp will take us to an idyllic hot spring pool, here we can bathe and relax. 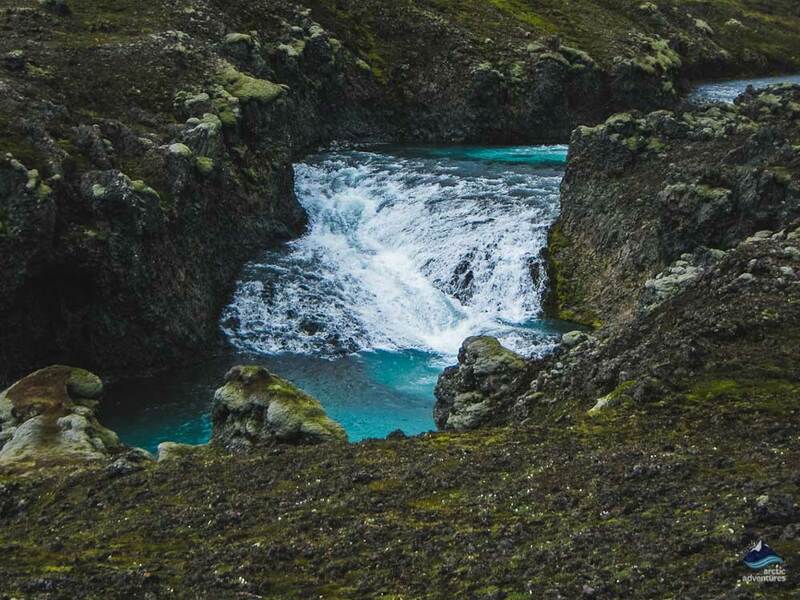 On our way towards the forest of Núpstaðaskógur we cross some refreshing cold rivers. Following the Núpsá (river) we see incredible canyons and tumbling waterfalls before hiking through the hills around Sléttur, the flat plain where we camp overnight. On a clear evening there will be breathtaking mountain and glacier views stretching as far as the eye can see. Next day we trek through the valley of Súludalur (Column Valley) into the Arctic birch forest of Núpstaðaskógur. Assisted by a strong chain we climb a rock face and ascend a steep scree slope to admire some stunning waterfalls. We camp in this area. Now for the glacier! 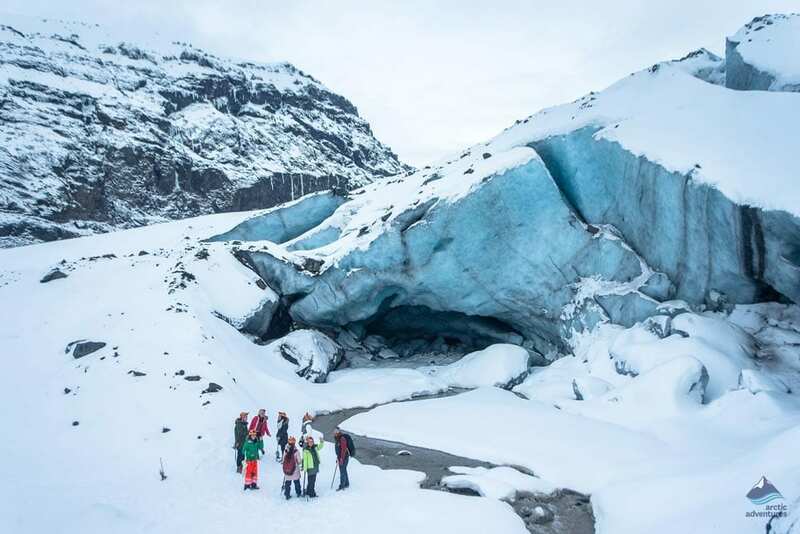 Trekking across Skeidarárjökull for most of the day you will see stunning glacier features including cauldrons, incredible glacier lagoons and astonishing ice forms. We camp nearby. Returning to civilization we trek over the Skaftafellsfjöll mountains, descending into vegetation and finally onto the marked trail to Skaftafell National Park. We expect to arrive in Reykjavík around dinner time. This is an adventure trekking expedition. 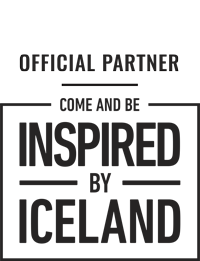 The participants are required to carry all their equipment such as clothing, sleeping bag, insulation mattress and personal items. Group equipment including tents, stoves, food, fuel and other items are evenly distributed among the group, so all participants carry their fair share. Two person tents are provided but single tents may be requested. Remember to bring: Please see FAQ for the packing list. Before heading off on our backpacking journey, we make certain your backpacks and everything else we need for our adventure are securely packed – then we are away! We drive for approximately 3 hours to reach the Djúpá river. We then begin our hike along the banks of the glacial Djúpá (meaning the Deep River). We wade across some streams and smaller rivers as we traverse this vegetated area. It is here that we will put our tents up for the night, getting to know one another better as we prepare an evening meal. Your guide has the final word on where to camp. You can be certain the best spots, considering the weather and other conditions, will be chosen throughout the trek. Distance 11 – 14 km (7 – 9 mi), walking time 4 – 6 hours. We wake up to magnificent views of Icelandic nature stretching in every direction as far as the eye can see. We get energized for the day ahead with a good breakfast before trekking further along the Djúpá river. We will see numerous waterfalls cascading powerfully down this fast flowing glacial river, which originates at the Síðujökull glacier, at the southwest corner of Vatnajökull glacier. 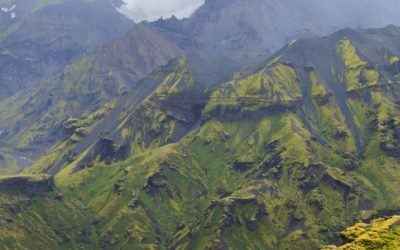 We will continue up Gæsabrekkur (the Goose hills) as we trek east into Langagil (the Long Gully), a beautiful gully with glorious moss. In this charming setting, out in the wilds, we will set up camp, prepare our meal and enjoy this highland paradise together. Distance 11 – 14 km (7 – 9 mi), walking time 4 – 5 hours. To begin the morning we enjoy a healthy and filling breakfast before greeting the exciting adventures which await us. Today we trek through a variety of landscapes and geological features, as we make our way through deserted wastelands and onto a lava field. We will end our day at Beinadalur (the Valley of Bones). It is here, with dramatic vistas all around us that we will camp for the night. Our camp will be located just a short walk away from a wonderful hot spring. After a full day of hiking we will be able to totally relax in the blissful, clear and approximately 40°C hot water. 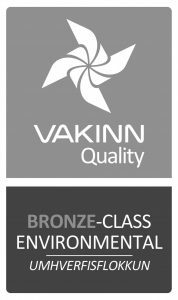 Relax and rejuvenate your tired muscles and really soak up the essence of Icelandic nature in this idyllic setting. Distance 10 – 12 km (6 – 7.5 mi), walking time 4 – 5 hours. 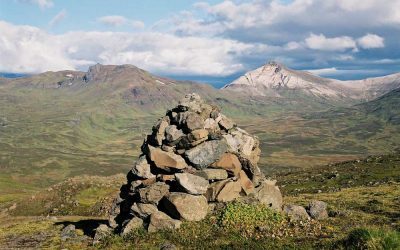 Today our trek will take us out of the Beinadalur valley as we continue south to Sléttur (meaning the flat plain or area) on our journey towards Núpstaðaskógur, a wonderful forest. We will be invigorated by some refreshing cold river crossings along the way. As we reach lower ground, we enter lushly vegetated areas. We trek along the Núpsá river, through beautiful canyons and passing scintillating waterfalls. We will then hike up the hills from Sléttur to reach our camping place for the night. In good visibility breathtakingly beautiful evening views of the surrounding high mountains and glaciers will surround us, stretching as far as the eye can see. Distance 12 – 13 km (7.5 – 8 mi), walking time 4 – 5 hours (B, L, r, D). The glacier sets the theme today! We will cross the Skeidarárjökull glacier, a very broad glacial tongue of the great Vatnajökull glacier. Strapping on our crampons we will spend most of the day trekking across the magnificent Skeidarárjökull glacier. In this totally unique icy-wonderland you will see astonishing features including cauldrons, moulins and other extraordinary ice forms crafted by nature. 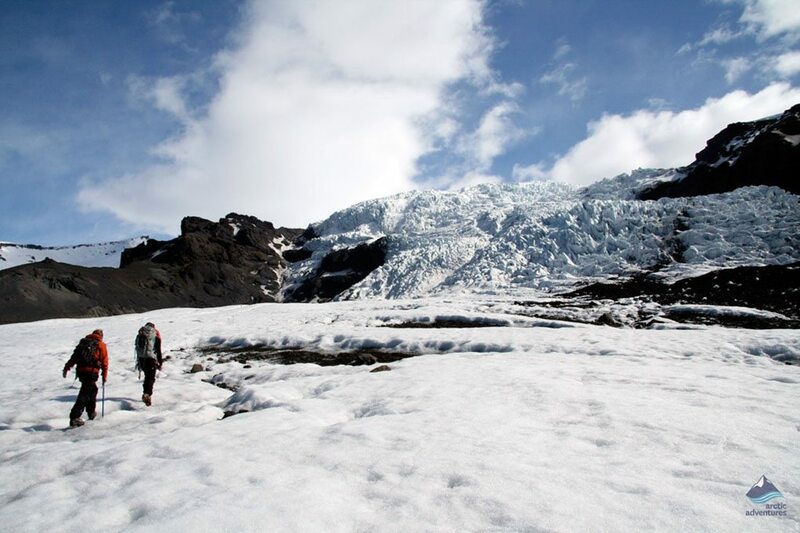 When we have completed our glacier trek our camp will be at Norðurdalur (the North Valley). The campsite here has often been described as the most spectacular in Iceland, the valley is surrounded by high ridged mountains and glaciers. 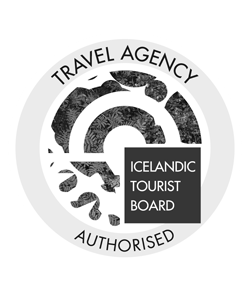 Your exertions on Skeidarárjökull will be rewarded with more glacial views, glacial lagoons with incredible floating icebergs and dramatic, sharp-toothed mountains, such as Færneseggjar. There are no river crossings on this day but it is hard to estimate the walking time because glacier hiking conditions can vary so greatly. Our final nourishing breakfast together! We pack everything then hike over the Skaftafellsfjöll mountains on our back way to civilization. These rhyolite mountains are beautifully colored with a dominant vibrant red and rich yellow color palette. We walk past Blátindur (the Blue Peak) before descending into the valley of Bláhnúkadalur (the Blue Peak Valley), it is here that we finally start to see some vegetation around us again! Trees, shrubs and other greenery become increasingly numerous as we approach the marked trail to Skaftafell National Park. Shortly after we reach Skaftafell we will drive back to Reykjavík. The estimated arrival time back in the city is around dinner time. Distance: 18 – 19 km ( 11 – 12 mi), walking time: 6 – 7 hrs, driving time 4 hrs. What to bring for the Vatnajökull Wilderness tour? Hiking boots – preferably leather boots with good ankle support. Long sleeve shirts (thermal underwear) – wool or synthetic. Light wool sweater or fleece (2nd layer). Warm jacket – soft shell or fleece (3rd layer). Hiking pants (2nd layer) – strong and light material that dries quickly. Wind resistant and water repelling preferable. Rain Jacket or anorak with hood – waterproof and breathable material (Gore-Tex or similar). Rain pants – waterproof and breathable material. Mittens – wool or synthetic (two pairs if no liner gloves). Socks – wool or synthetic. At least 2 pairs. Sleeping bag – down or synthetic. Aim for light weight and warm bag. Goose down with high fills power or top of the line synthetic bags are recommended. Water bottle/camel pack (1 or 1 ½ liter recommended). Camera equipment – incl. spare batteries, memory card and/or films.